This page is dedicated to that area of Kyoto between Kyoto station in the south, and the Imperial Palace in the north. The only area in the city where there aren't famous temples to be pointed out. This area can be considered the modern commercial heart of Kyoto, where to find department stores and international brands, particularly along two major streets, Shijo Dori and Kawaramachi Dori, but there are also more traditional narrow streets, like Pontocho and the Nishiki Market, and typical japanese covered shopping arcades like Shinkyogoku Dori and Teramachi Dori. 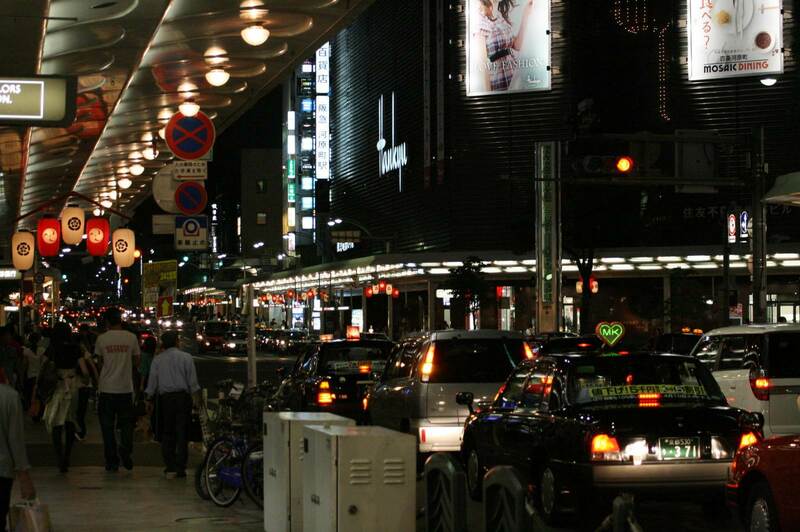 Other shops and shopping centers can be found in the surroundings of the North Exit of Kyoto Station. This area has been for centuries one of the entertainment areas of the city (also a red light district), and is today full of tea-house, bars, clubs and restaurants of all types and all price ranges (some are really expensive, pay attention), I suggest a walk in this area especially in the evening when the atmosphere becomes magic. 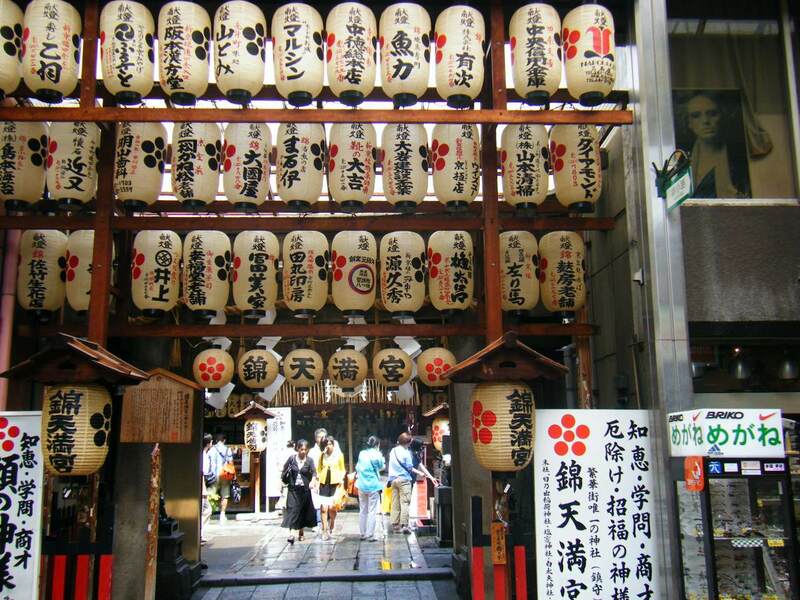 It is also one of Kyoto's hanamachi, namely the geisha districts. However, it's much more rare to encounter some geisha in this area rather than, for example, in the more popular area of Gion. In the northern part of Pontocho there is the Kaburenjo Theatre, where some pretty famous shows are performed by geishas and are popular among tourists: especially the Miyako Odori in April (more information here) and the Kamogawa Odori in May. 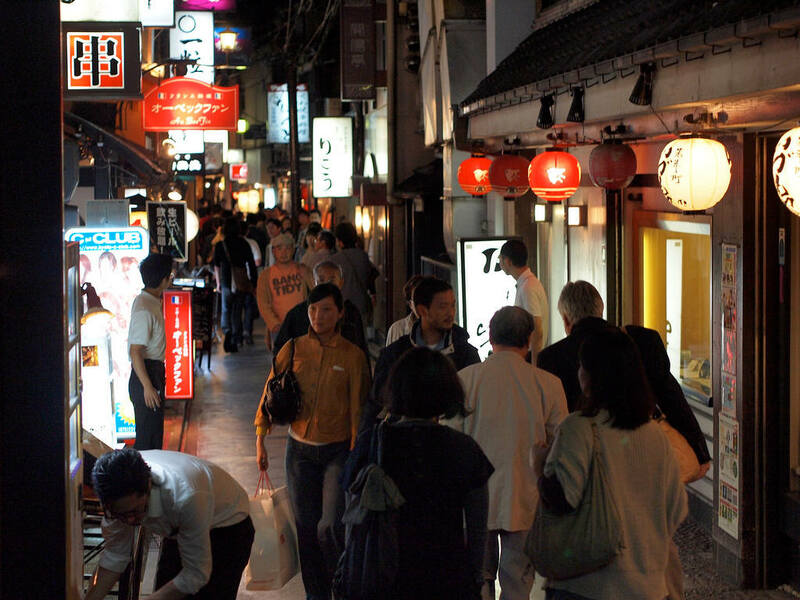 One of the oldest shopping streets of the city. It is a covered gallery, where there are 126 stores concentrated in only 400 meters, which runs parallel to Shijo Dori about 150 meters north, and ends crossing with Teramachi Dori to the east. The Nishiki Market is specialized mainly in food, not by chance it is also called "The Kitchen of Kyoto", and is the perfect place where to find any type of food, vegetables and fresh fish, but also kitchen utensils, prepared food to take away and several restaurants (for example, there are a few places to eat inexpensive sushi). 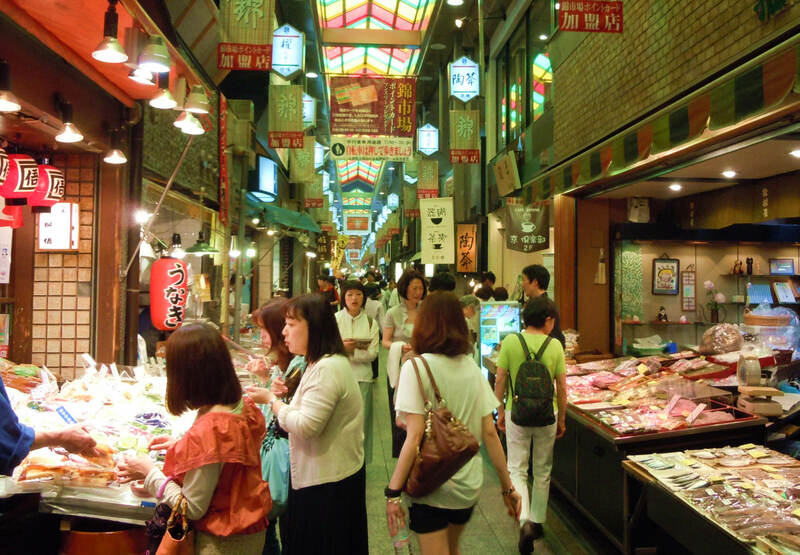 Taking a walk through this market with a Japanese friend would be very interesting, just to get an explanation of what the various products exposed are, because most of the tourists usually can't recognize most of them. Inside the arcade, in the eastern end, there is also a small curious Shinto shrine, the Nishiki Tenmangu Shrine. This museum is located one kilometer north of Shijo Dori along Karasuma Dori. Rather than a museum, I would define this place a large library of comics, in fact you can find thousands and thousands of manga (about 50,000 in total) from 1970 until today, that you can consult. Obviously the majority of the volumes are in Japanese, but there is also a small section dedicated to translated manga (Manga Expo). According to the official website, there are about 1000 volumes in English. Considering that, however, there is a rather high entrance fee, I do not know how much is worth to visit this place for a tourist. The museum also hosts temporary exhibitions that vary in months and whose admission will be charged separately, at this link you can find the schedule. This is certainly the more recommended area of Kyoto to stay, along with the area around Kyoto station. There are plenty of hotels, but few are those really cheap ones. The cheapest by far, excluding the internet cafes, are these two guest house/hostels where you sleep in dormitories for about 2000 YEN per night, the Guest House Jalan-do and the Guest House Khaosan Kyoto. Among the cheapest business hoteles, I suggest the Hotel Oaks Kyoto Shijo, the Best Western Kyoto, the Hotel Karasuma Kyoto, the Hotel Mitsui Garden Kyoto Shijo, but anyway you have to pay a minimum of 50-60 euro per night, unless there are special super discounted offers. An interesting solution could instead be the First Cabin Hotel Kyoto Karasuma, a new hotel "concept", born in recent years and currently available only in Osaka and Kyoto, basically a mixture between a normal hotel and a capsule hotel. The rooms are tiny but very modern, while the common services are of excellent quality, and you can sleep a short walk from Karasuma station for just 3,500-4,000 YEN per night. If you are looking for a more traditional experience, you could choose the Watazen Ryokan near the Nishiki Market, a not very expensive ryokan, from 10,000 YEN up (it seems expensive but it isn't, considering the prices of ryokans in Kyoto). In Pontocho you can find some good restaurants, but try to understand the price-range before going inside because there are some really expensive ones. For the sushi, right in Pontocho I recommend Kappa Sushi, a good quality restaurant with "affordable" prices where to enjoy great sushi and sashimi (there are also English menus). At Musashi Sushi, a kaiten sushi located at the intersection between Sanjo Dori and Kawaramachi Dori, you can eat instead a decent-quality sushi for 137 yen per plate (2 pieces each plate). 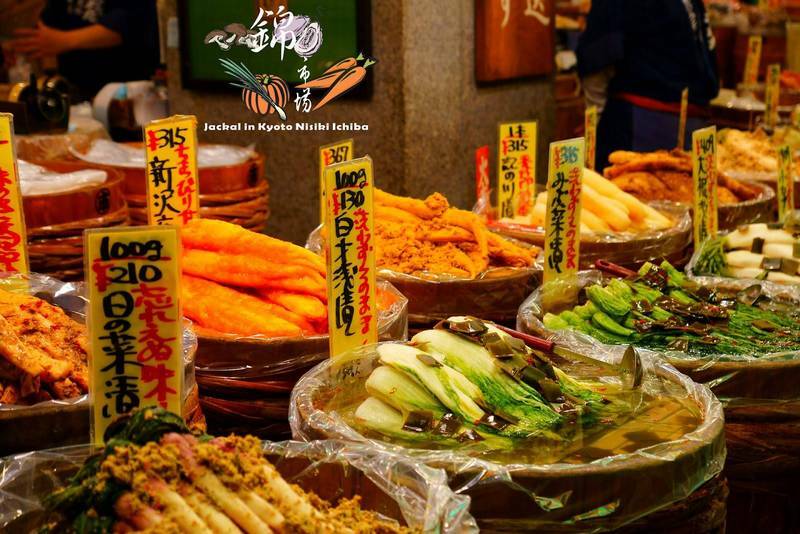 If you want to try one of the best sukiyaki, a delicious Japanese dish of meat, in the upper part of Sanjo Dori is one of the most popular restaurants in the city, Mishima Tei. 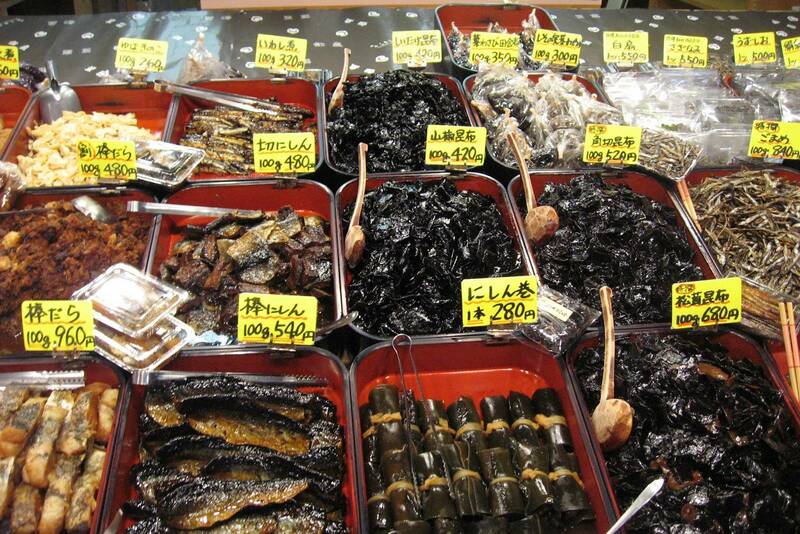 However the prices are almost prohibitive, you should expect a minimum of 10,000 yen per person (official website). Anyway, you can find hundreds and hundreds of restaurants scattered through the meanderings of the area to suit all tastes and all budgets, this is one of the "easiest" areas where to eat well and spend little. The main railway stations in this area are Kawaramachi station and Karasuma station along the Hankyu Kyoto line, and the metro Shijo station, close to Karasuma station and connected to it directly through a short tunnel, served by the Karasuma line (Kyoto Municipal Subway). To the International Manga Museum the nearest metro station is Karasuma-Oike station, the next station to Shijo along the Karasuma line and served also by the Tozai line. The Shijo-Kawaramachi and Shijo-Karasuma bus stops located in this area are two important interchange bus stations, served by many bus routes and reachable without changes from most of the city (220 YEN).